Hazrat Zar Zari Zar Baksh (the giver of the essence of gold), or Shah Muntajab ud din, was one of the earliest Sufis of the Chishti Order, the most dominant of all the Sufi orders in the Indian subcontinent. Zar Zari Zar Baksh is said to have come to this area of the Deccan at the request of his teacher, Hazrat Nizamuddin Awliya of Delhi in the beginning of the 8th century Hijri (14th century AD). With 700 disciples, Zar Zari Zar Baksh came to Aurangabad, and is said to have converted a Hindu princess near a well at Khuldabad. The place is now called the “Sohan baoli” or “pleasing well”, and the princess is buried close to the saint’s grave in Khuldabad. The tomb of Zar Zari Zar Baksh is between Malik Ambar’s tomb and the northern gate of the town. It contains a number of ornaments and relics, the most remarkable of which is a circular steel looking glass mounted on a steel pedestal of four feet in height. It is said to have been presented by King Tana Shah. The dargah in Khuldabad attracts thousands of pilgrims each year for the Urs of the saint. Several apocryphal stories are told about Muntajib al-Din to account for the name, Zar Zari Zar Baksh, “the giver of the essence of gold”, but historical data notes simply that he was a practicing Sufi who often retreated to a hill cave near the place where his tomb was eventually built. However the widespread stories of prayers answered at this tomb have made the Dargah of Zar Zari Zar Baksh an important pilgrimage sites for Sufis in the Deccan and other parts of India. According to the managers of the Dargah, people have come from other Muslim countries to this shrine. The Zar Zari Zar Baksh Dargah [Sufi Shrine] in Khuldabad attracts hundreds of pilgrims each year for ordinary rituals such as seeking the blessings of praying at a holy place. But this Dargah draws people from long distances for more specific purposes too. Thousands of pilgrims travel to the Zar Zari Zar Baksh Dargah for the urs or death anniversary of the saint, immediately followed by the commemoration of the death of the Prophet Muhammad. However, most pilgrims to the Zar Zari Zar Baksh Dargah travel to seek the help of this saint and his mother in conceiving a child or finding a husband. Though women are not allowed inside the small room that houses the tomb, they stand or sit just outside the doorway praying for the saint’s blessing. A man from the Dargah indicates this blessing by tapping them quickly on their heads and shoulders with a small bunch of peacock feathers. As a sign of their petition, the women tie a small thread or a glass bangle, often green, above the doorway to the tomb. The women also tie a thread on their own wrists for a month and 7 days. Within the innermost courtyard of the dargah, to the side of the tombs, is a mosque where anyone visiting the dargah prays when the muezzin sings the call to prayer. Although women might be visiting the dargah, only men were observed performing the prayer ritual at this mosque. He is resting in Khuldabad Sharif which is near Aurangabad and he is one of the pious personalities of Aurangabad. His name is famous and well known as Sheikh Muntajib Uddin and Zari Zar Baksh Dulha was his distinguished title due to his love of the people so they used to call him as Dulha Miya (bridge groom). He was well connected with two genealogical records. 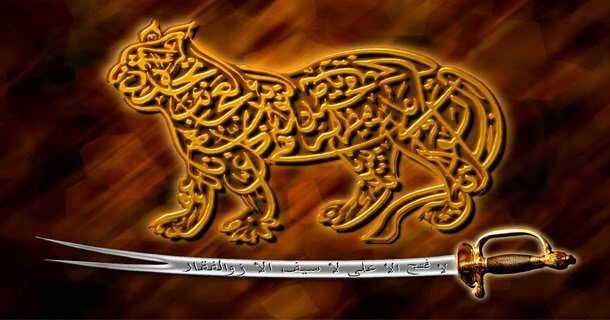 He was contacted in the 11th generation with Imam Abu Hanifa and in 21th generation his genealogical record was connected with the Allah’s final apostle. He was pledge to Khaja Nizam Uddin Auliya as his spiritual master and obtained the saintly dress from him. He belongs to devotes of pious personalities of his time. His father’s name is Sheikh Mohammed and his mother’s name is Bibi Hajira. His grave is situated in the tomb which is located in the compound in the western-northern side. His father had four sons and five daughters and the details are as follows. He was older than Hazrat Syed Muntajib Uddin . He was the caliph of Hazrat Khaja Nizam Uddin Auliya. He was famous and well known pious personality of the Deccan and his status and position is very great and well known. Hazrat Khaja Syed Muntajib Uddin. His grave is situated in Khuldabad Sharif. His grave is situated in Doulatabad but the people of Doulatabad used to say that he is the brother the Syed Shah Raju Qattal Hussaini who is the father of Hazrat Mohammed Ahmed Banda Nawaz of Gulberga. Except the grave of Hazrat Abul Fatah and Hazrat Aziz Qattal all graves of the above persons are situated in Khuldabad Sharif. But the writer of book ‘Ishaq Rabbani’ mentioned he was connected Imam Abu Hanif in the 12th generation and by 10th generation the above record is correct but in the 11th generation the name Aba Warsa or Hazrat Hama so this personality is connected with him and in the 12th generation he is well connection with imam Abu Hanifa. But all historians have confirmed the above first record of the 11th generations but the writer of this Urdu book was confirmed the other record which is mentioned in the above line. Hazrat Ali Ibn Abi Taleb. Hazrat Abdul Wahed Bin Zaid. 11.Hazrat Khaja Ahmed Abdal Chisti. 15.Hazrat Khja Haji Sharif Zindani. 17 Khaja Moin Uddin Chisti. Hazrat Khaja Qutub Uddin Baqtiar Kaki. Hazrat Farid Uddin Gunj Shaker. 20 Hazrat Khaja Nizam Uddin Aulia. Hazrat Khaja Muntajib Uddin Zar Zari Baksh. All historians have confirmed that he was born in the year 675 A.H. All books of biography writers except the writer of book ‘Qazintal Asfia’ have confirmed that he is younger than his brother Hazrat Burhan Uddin Garib. The writer of the book ‘Ishasq Rabbani’ mentioned his year of birth as 675 A.H. and his brother’s year of birth as 654 A.H. and from the above record it is clear that he is younger than his brother Burhan Uddin Garib and he was second son of Hazrat Sheikh Mahmood. He was saint by his birth. Since childhood there had been indications of saintliness on his face. So since childhood he was used to busy in the remembrance of Allah and he was also busy in the daily recitals. He was used to busy in the worship and perform the following prayers. He strictly followed the Islamic law (Shariat) and he was very great lover of Sunnat (practice) of Allah’s final apostle. He was in habit of ignoring worldly matters and he was used to be busy in mystical exercises and endeavors despite of hardship and effects in all seasonal without any interruption and gap in this matter. Upon becoming disciple of Sheikh Nizam Uddin and also due to Sheikh’s kind attention and favor he was passed successfully many stages of Fakher (indigence) and he reached to a higher status of Velayat (saintliness). Due to his following qualities. For the above reasons he was much liked by the Sheikh and who awarded him caliphate first to him despite of his young age among his disciples. The Sheikh also awarded him the following things. The group of 1400 palanquins. A group of 1400 palanquins of holy pious personalities came to the Deccan from Delhi. This event is very famous in the history books and they described the details which are as follows. 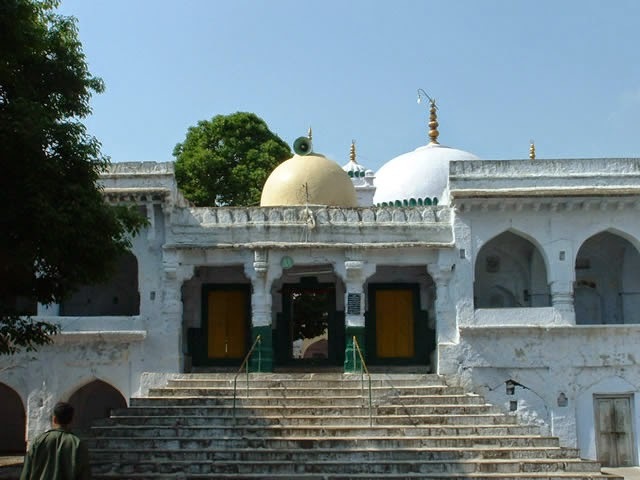 Sheikh Nizam Uddin Auliya has arranged and sent a group of 1400 pious personalities towards Deccan and around Delhi areas for the guidance of mankind and to spread the teaching and favors of the Sufi order of Naqshibandiaya. He was selected the leader of caravan of 1400 holy and pious persons to Deccan by Khaja Nizam Uddin Auiya as he thinks that he is fit for the job due to his best qualities. From this it is clear that he was made leader of 1400 holy and great personalities and as a matter of fact in that caravan there were so many great pious personalities were there and they were perfect in the following things. To walk on the water. The historian Mohammed Qasim who wrote his famous history book ‘Tariq Farista’ mentioned that the number of his caravan members were 700 and among them many were perfect personalities of their time so for this reason due to their higher status and position they were allowed to travel in the palanquins. To obey spiritual master’s order. To obey his master’s order he left for Delhi for always and while becoming the leader of the caravan or like the bride groom of the marriage who moves in the procession so in this way he went towards Deccan along with a caravan of 1400 holy pious personalities. During his journey he was passed away from many places of India and also moved from difficult places of mountains and at last he was reached to Doulatabad and which was the capital of the kingdom of Delhi at that time and its population was too much. In the books of history the following details are not available. His departure date from Delhi. When he was reached to Doulatabad. 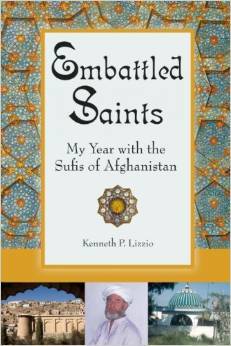 The events of his journey from Delhi to Doulatabad. Upon his arrival he was staying near a place which is adjacent of one mountain and he was selected that place and which is famous as Doulatabad also he was buried there and his mausoleum is available there. Due to following reasons he was selected this mountain area and not moved from there and he was settled down along his dervish friends permanently. Chilla Kashi. (To retire (forty days) into mystic speculation). He was settled down on the mountain for Chilla Kashi (to retire (40 days) into mystic speculation) and now on this place his mausoleum is situated there. Near this mountain area there is one natural cave is there in which he was used to engage himself in the following things. Chilla Kashi (to retire (40 days) into mystic speculation). The above place is very famous in Doulatabad for this reason a large number of people used to visit this place. This mountain area is known as mount of Mashaiq (learned persons). His friends were also settled down around this mountainous area and so for this reason their graves are there on this spot around this area and their children are still available in this place. During his stay in Khuldabad he was followed all directions and instruction from his great spiritual master and fulfilled his duties perfectly to the entire satisfaction of his master. Due to this reason large number people from neighboring areas were greatly benefitted due to his favor of Zaheri (manifest) and Batni (innermost) and many thousand people were accepted his guidance towards the path of Allah. His daily routine of life and practices in the meeting place were as per dervish system. Till his entire life he was disconnected with the worldly life and its people. He left this world on 7th Rabil Awwal in the year 709 A.H. at the age of 34 years in his house of residence in Khuldabad and his date of death is available from the following words. His mausoleum is situated in Khuldabad Sharif which is famous and for this reason the visitors in large numbers will visit the shrine and pray Allah for the fulfillment of their desires and wishes for the sake of the Sheikh’s name. The meaning of Khuldbad Sharif. This place which is known today as Khuldabad Sharif but before its name was ‘Baghe Roudah’ but after death of king Aurangzeb Alamgir and his mausoleum is situated in the shrine area of Hazrat Khaja Zain Al-Abidin and who is also known as ‘Bawis Khaja’ and from that time this area was becoming famous as ‘Khuld Ashian’ and in his name all area of the mountain become famous as Khuldabad Sharif. The meaning of Zar Zari Zar Baksh. When he was leaving Delhi along with 1400 groups of holy personalities as per his spiritual master’s instruction but at that time he was reluctant in this matter that how he will manage the expenses of all these large number of persons and from which source the huge required money will come for this purpose. So for this reason he was worried due to this problem and so he was visited his master in this matter and told him his difficulty that he is not having strength and capacity to maintain the expenses of such a large group of persons . So upon this matter his spiritual master went into meditation and told him that at the time of Tahjud (supererogatory in the early hours of morning) prayer all the expenses in this matter will be arranged to him. As per reference from Mohammed Qasim who wrote his famous history book ‘Tariq Farishta’ that at the time of Tahjud (supererogatory prayer in the early hours of the morning) there will arrive one box full of gold for the expenses of the darvish persons from an invisible source. So he used to collect the gold in the morning and for that money he will run the expenses of Darvish persons. For this reason he was well known and become famous with the title of ‘Zar Zari Zar Baksh’. Maulavi Ghulam Ali Sahib Azad wrote from reference from the book ‘Roudah Auliya Deccan’ that when his endeavors, mystical exercises were reached at the highest level and he got status and position of Mahbibiat (loveliness) then from that time daily in the morning and evening time he will used to get two robes of honor of gold from invisible source and which he will use to sell and spend the amount on the expenses of his Dervish friends and from that amount he will not use any amount for his personal expenses. So for this reason he was getting title Zar Zari Baksh. One more tradition which is known in this matter that there was severe starvation in that area and for this reason many persons in large numbers were present in his shrine due to poverty and worst problems in this matter and they requested him to consider their worst situation so for this reason he was prayed in this matter and due to his prayer in the morning there were branches of gold developed on the trees from the ground level of the length of a span and so he will used to cut the same and sold gold in the market and used to spend on the people. But in the book ‘Roudah Alaqtab’ this event was mentioned about Hazrat Burhan Uddin Garib. Also it was heard that when he was in the womb of his mother and despite of her delivering pains but he was not being delivered. So for this reason his father Sheikh Mahmood went to see his spiritual master Hazrat Mahboob Ilahi and explained him all details in this matter. So Hazrat mahboob Ilahi gave some him one pill of raw sugar (gud ) with a mix of gold and told from his tongue of favor that the boy should not delivered in the naked condition. So Sheikh Mahmood gave the pill to his wife and afterwards he was born in the condition that he was covered with loincloth of gold on his lower part of the body. The meaning of Dulha Miyan (bride groom). When he was died in the younger age without marriage so for this reason he was called as Dulha Miyan (bride groom). It is very hard and tough task to cover all his miracles which are famous and well known to all persons. Due to fear of length I am afraid to mention in this small book all of them. So I mention here only one of his miracle which is as follows. Once Hazrat Muntajab Uddin was busy in meditation upon the favor and attention of his spiritual master Hazrat Nizam Uddin auliya and at that time his younger brother Burhan Uddin Garib went to see him so to welcome his brother he spread the eating cloth and offered him food items. So his brother told him that he is keeping fast so he did not eat the food items there. So he told him it was supererogatory fast so you can eat the food items there. But he did not accept his advice and went away from there and went to see Hazrat Nizam Uddin Auliya and to kiss his feet in his shrine building. Upon seeing him the Sheikh asked his servants to bring some food for Burhan Uddin Garib so as per obedience of his Sheikh’s order he eat some food there. When he left from there the prayer time of Asr (evening) was started so he went to the mosque for praying there. When he reached in the mosque and asked the person for prayer of Asr (evening) but all persons told him that they have already performed the prayer. At last he prayed the Asr (evening) prayer lonely with confession and thought in his mind that due to not eating with brother Hazrat Muntajab uddin so he was lost his fast as well his congressional Asr (evening) prayer. In the book ‘Nafis Al Anfas’ it is mentioned that Hazrat Burhan Uddin Auliya once told that Hazrat Muntajib uddin had one friend and all people used to call him as Syed and that person not used to convey Salam to rich persons on his way but he used to convey Salam to poor and insane persons who will be find him in the worst condition of their clothes and so in this way he used to pay them his respect. When Hazrat Muntajib Uddin able to known his habit then he told that respect of such group of persons is very great work. He was a disciple of Hazrat Nizam Uddin Auliya and he was the brother of Tariqat (mystic) of the Hazrat Muntajib Uddi so he used to love and like him too much and also Khaja Mohammed Sahib used to like him very much . The event of his death is very famous that on the day of death of Hazrat Muntajib Uddin when all people left from the grave of Hazrat Mountajib Uddin upon his funeral rites and Khaja Sahib was left lonely there and he was become silent for some time and after some time suddenly due to passion of his love and due to his separation he was began weeping and crying in this matter and when he was become in uncontrolled condition he was fallen on the grave of his friend while reciting one couplet in Persian and he was died suddenly. He was died on the same day beside the grave of his friend. His Urs (death anniversary) ceremony is also celebrated on 7th Rabi Awwal along with Urs (death anniversary) of Hazrat Muntajib Uddin. Some details of persons of palanquins. In the book ‘Roudatal Aqtab’ the writer was mentioned the details of some persons who came from Delhi to Doulatabad along with Hazrat Muntajib Uddin and their details are as follows. He was his spiritual brother and he was buried in the tomb of Hazrat Mountajib Uddin. His grave is situated outside of the tomb of Hazrat Muntajib Uddin near the wall in the eastern side and he was his sister’s son. He was his maternal uncle and his brother and sister’s grave are available at the back side to the tomb Hazrat mountjib Uddin sahib in the western side in other tombs. He was the first teacher of Hazrat Muntajib Uddin. His grave is situated in the western side of one well which is at the head side of the mausoleum. The graves of above two pious persons are available on the outside of the shrine area in the north side under the acacia (kiker) tree at the side of the road. Serial number 7 to 10 were buried in the mosque of ‘Char Sadah Auliya’ and above all were spiritual brothers of Hazrat Muntajib Uddin. 11.Hazrat Peer Bader Uddin Nav Lakhi. He was buried in the near the mountain area of ‘Howda’. He was spiritual brother of Hazrat Muntajib Uddin. 12.Hazrat Kamal Uddin and he was a spiritual brother of Hazrat Muntajib Uddin Sahib. His grave is situated in the of the ‘Mandi Takeri’ area in the northern side. Also his brothers and sisters and one courtier Doulat Shah Darbari was also coming along with him from Delhi to Doulatabad. As the servants of shrine used to point out many hundred graves there. At the foot side of the tomb and in the shrine area and around it there are many graves are there and for all these graves they say that all these persons of the graves are belong to friends of Hazrat Mantajib Uddin. Also in some other places of India and in the land of Deccan there are available many thousand holy persons and among most of them belongs to friends of the Hazrat Muntajib Uddin and who were with them in the group of 1400 palanquins and who came there for the preaching and the propagation purpose of Islam in Deccan and in its surrounding areas. There are two compounds of shrine of Hazrat Muntajib Uddin are there and in the area in which the tomb is situated is small and it is at a higher level than the other area. There is a grand mausoleum over the grave of Hazrat Muntajib Uddin. There are available some copies of holy Quran and one steel mirror inside the tomb building which belongs to the period of Tana Shah of Golconda kingdom. On the grave there is cover of golden-lace work and inside of the tomb there is velvet tent available. At the door of the tomb there is available black marble flooring . At the side of the eastern wall grave of his sister’s son is situated and at the side of the western wall grave of his other sister’s son is there. At the western side of his tomb his mother Hejira Bibi’s grave is situated. And she is well known there as Ma Sahiba. On this occasion people from various walks of life, irrespective of caste and creed, assemble to celebrate the Urs (death anniversary) which takes place on the 4th Rabil Awwal of Muslim calendar at the famous Hazrat Muntajib Uddin’s Dargah (shrine) in Khuldabad Sharif every year. Several hundred thousand devotees from near and far, irrespective of religion and beliefs, gather there to seek blessings. During the Urs (death anniversary) the visitors in large number will visit the shrine for the fulfillment of their desires and wishes for the sake of the Sheikh’s name. In this way the above ceremony will be arranged on a grand scale and the visitors will visit the mausoleum from near and far away places. His Urs (death anniversary) is celebrated on the large scale comparing to other holy pious personalities of Khuldabad Sharif and also it is well known in the area of the Deccan. It is commenced with celebration of Urs (death anniversary) of Hazrat Burhan Uddin. Upon arrival of Hazrat Burhan Uddin Garib’s arrival to Khuldabad he used to celebrate Urs (death anniversary) of his younger brother Hazrat Muntajib Uddin with great love and affection and he was celebrated it for a period of 20 years. And the same type of celebrations and formalities were in the practice since 700 years and till now there is no change at all. The following ceremonies are organized. Every year the preparation Urs (death anniversary) ceremony used to start from first of Rabil Awwal but actually all formalities are commencing from 4tH Rabil Awwal. On the 4th Rabil Awwal the ceremony of Urs (death anniversary) started in the following way. After passing of some years so it became a tradition in the shrine for the arrangement of flowers on the Kalas (spire pinnacle ) of the mausoleum on the commencement of Urs (anniversay) ceremony and this ceremony (flower bouquet) which will organized there in the presence of large of persons in the shrine building. After this ceremony upon reciting Faith (first verse of Quran) the white washing work will be started and this ceremony is famous and well known and it is called locally as ‘Taqrib Chuna’. On the 5th Rabil Awwal aftr reciting Fatiha (frist verse of Quran ) and after distribution of sweets the sandal work is done inside the tomb and which is known as ‘Sandal Mali’ and upon closing the doors of the tomb the service of the grave is being done and this ceremony is known as ‘Farashan’ and after this the used cover of the grave will be removed with great respect and honor and will be taken to Satkonda area which is one mile from the shrine building and where there are some wells are there in which the cover of the tomb is washed and brought back in the evening time in the shrine building. The washing water of the cover of the tomb will be collected by the persons as benediction (tabrek) and will be distributed among all persons and it will well known and famous that the water is elixir (aksir ) for all diseases and problems. On 6th Rabil Awwal after the Zuhar (afternoon) prayer the reciting of Quran will be started and which will be continued up to next day. On the 7th Rabil Awwal the procession of sandal will be started from the Khuldabad Sharif with great grandeur and on the large scale basis. In the procession more than 60,000 persons will participate and get felicity for it. In the midnight at 12’o clock the meeting of ecstasy (samah) will be started at the opposite side of the shrine and at that time the doors of the tomb will be closed and service of the tomb will be commenced in this matter. On the grave the devotees will specially arrange for the pavilion with bedecked with shoots and sprays (mandawa) which is well known local tradition and upon this the doors of the mausoleum will be opened to all general visitors persons to visit the tomb . At this time there will be such condition on the persons which is not desirable in the writing and which is required to see the same physically. The Qawwali (mystic chorus) will be stopped at the time for (morning) prayer and after Fajr (morning) prayer the reciting of Quran will be commenced. On the seventh Rabil Awwal the lights will be illuminated and at the time of midnight at 12’ O clock the Qawwali (mystic chorus) programs will be stopped and in its place Melad Sharif (meeting to held to celebrate the holy prophet’s nativity) program will be started and which will be continued up to prayer time of Fajr (morning prayer) and after the prayer there will be permission of the Qawwali (mystic chorus) programs which will be continue again up until the next day. On the 8th Rabil Awwal at the time of 12’o clock midnight a special Qawwali (mystic chorus) program will be commenced and which will continue up to Fajr (morning time) prayer time and after reciting of Quran will be started and after this there will be a recitation of Faitha ( first verse of the Quran) program and after this the sweets will be distributed among the visitors of the shrine and in this way the Urs (death anniversary) celebrations will be ended. At the end of this article it is prayed for the fulfillment of their desires and wishes for the visitors who will visit the shrine in large numbers for the sake of the Sheikh’s name (Amin).